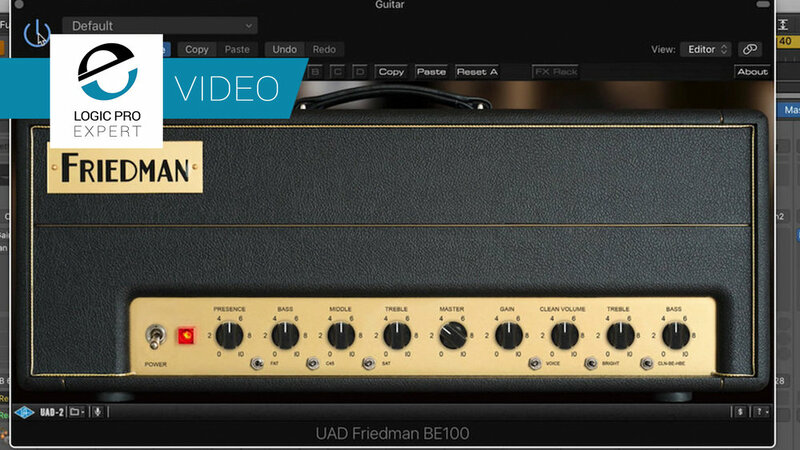 One of the things that make the Friedman BE 100 so versatile is the choice of channels to use. The CLN channel, while nominally a clean guitar sound, still has plenty of “hair” on it. The BE channel input provides a great distorted tone. When paired with the gain and input knob, it’s easily tameable so as not to be too over the top. The HBE channel offers the heaviest distortion. So, just with these three separate modes, you get great versatility from the tone generated by this plug-in. I also really like that you can then blend in the clean volume separately from the Gain knob that’s used to control the amount of distortion from the amp’s 12AX7 driven preamp section. The FX rack is fully featured enough to make this a stand-alone plug-in, other than for reverb of course. The amp filters are a fantastic compliment to the main tone controls on the front panel. The Tight control cuts the low end, while the Smooth knob cuts the highs. But the real highlight of the extended controls found in this section are the recording chains. Different combinations of cabinets, micing, and EQ are easily auditioned, either using the flip menu, the +/- buttons, or the fantastic Auto mode, which scrolls through the presets based on a chosen interval of time (one bar, two bars, etc.). A nice bonus is the ability to bypass the preamp and preamp sections individually. If you want to record with your own external tube or solid state preamp, you can still take advantage of what this great sounding plug-in has to offer. The noise gate is simple but perfectly effective for taming noisy single coil pickups. And the LoFi delay is the perfect match for the tones generated from this amp. Rounding things off nicely is the power soak knob, which allows you to crank up the tube guitar amp to drive the signal into distortion, while still keeping the output level under control.